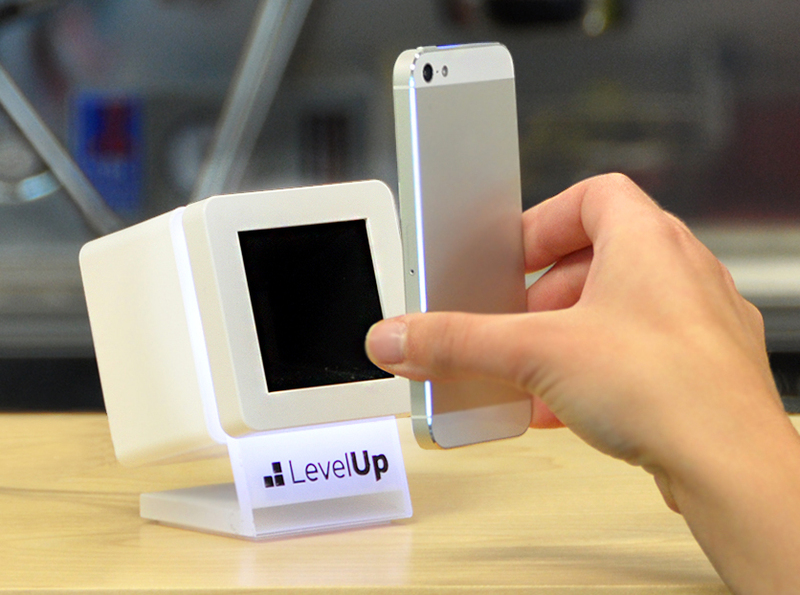 LevelUp is a mobile payment service app, which the White Label team designs customized apps for various merchants ranging from quick service restaurants to cafés. 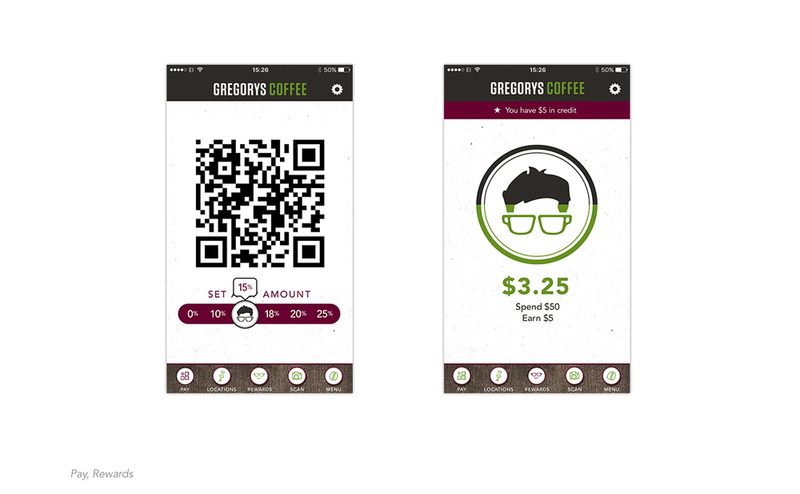 Four clients showcased here are Gregory's Coffee, How Do You Roll, Heine Brothers’ Coffee, and Num Pang. 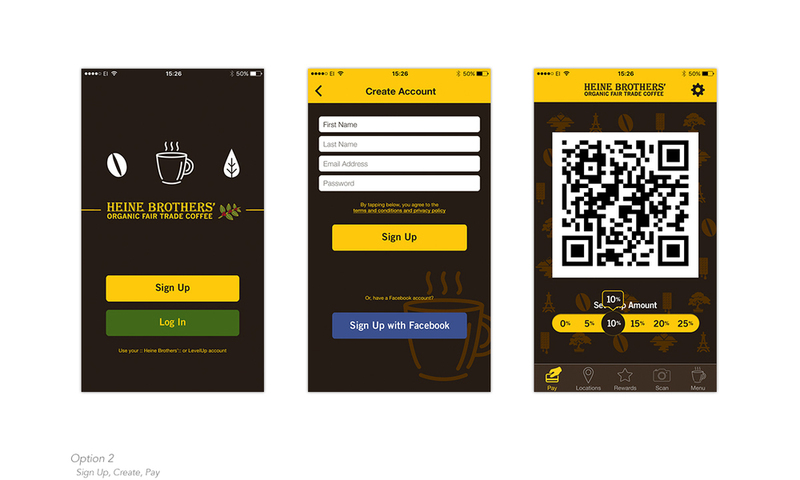 I have designed the initial pages of splash, sign up/register, and payment/rewards screens, as well as the full screen flows for iOS and Android for the apps to be released. 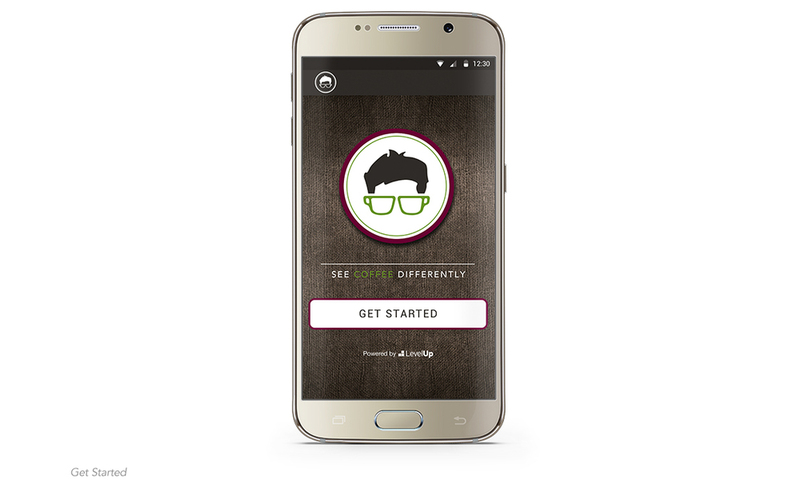 Menu is also designed for each of the clients in HTML, which is then viewed on mobile. 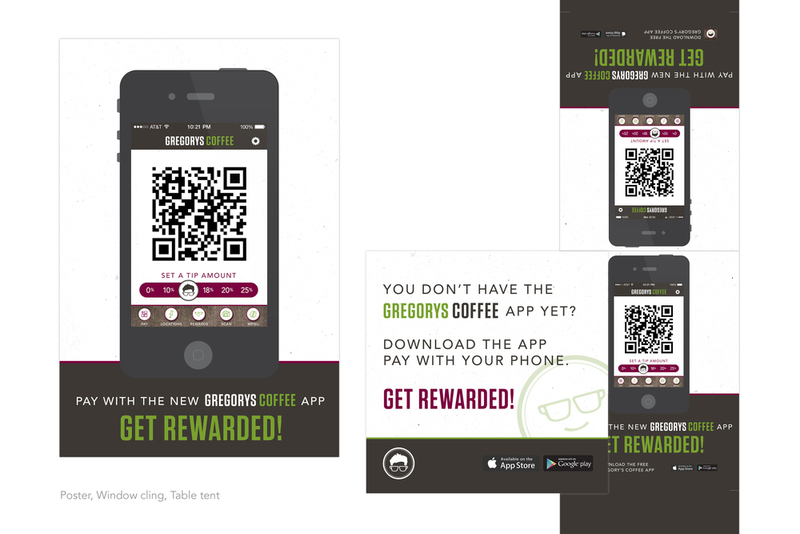 Gregory's Coffee is a coffee franchise in NYC that's seen much success. They serve selected high-quality coffee and baked goods. The franchise is owned by a person named Greg who is young and known for being fashionable. Hence, style and design aesthetics are very important to him and his brand. In order to meet the client's needs, I paid extra careful attention to the visual details and his branding in elements such as the iconography, background/splash screen, and color scheme. 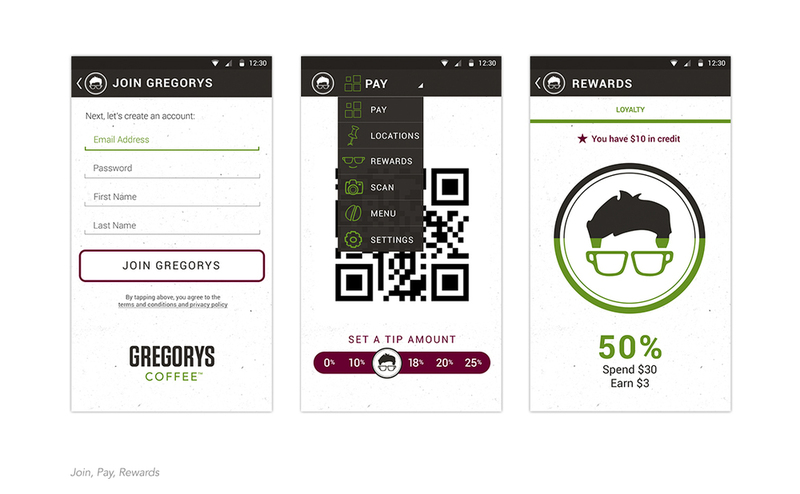 After the app was released, Gregory's Coffee had a significant increase in its sales and a lot of its loyal customers, which they call as "Gregulars" have migrated to the app version of their loyalty program. How Do You Roll is a 13 location sushi franchise based out of Austin, Texas. They had celebrated their 5th year anniversary in October 2013, but their marketing/ creative team is super young. Being “innovative and ahead of the curve” is very important to them! Therefore, it was essential to maintain that sense of youth in the app by incorporating pop art style aesthetics, showcased through elements such as its unique sushi plate Rewards screen. Heine Brothers’ Coffee is a 100% fair trade & organic coffee roaster. They opened their 1st shop in October 1994 in the Highlands neighborhood of Louisville, KY, and now have 14 shops and a mobile Airstream espresso bar, all in Louisville. 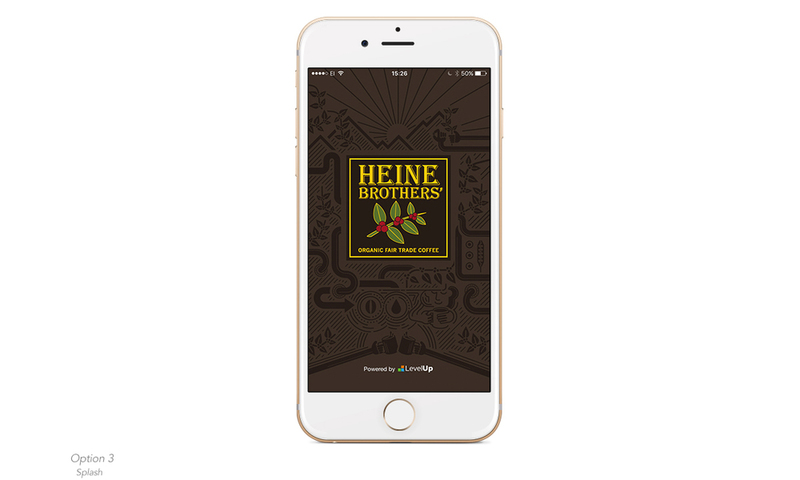 From the beginning, Heine Brothers’ has been committed to operating responsibly and sustainably. They offer exceptional drinks, perfectly-roasted coffee and friendly service. 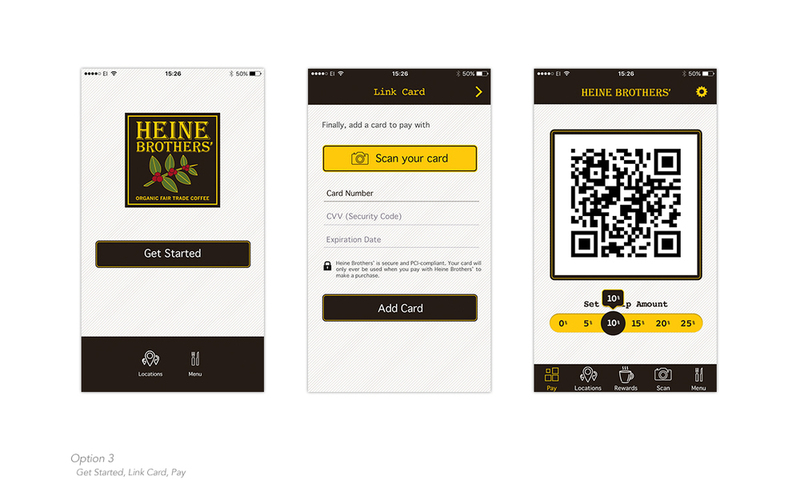 Here, I had presented several options to them and they chose to go with the more minimalistic option that includes highlighted features from their branding, such as the stroke around the QR code and the buttons. 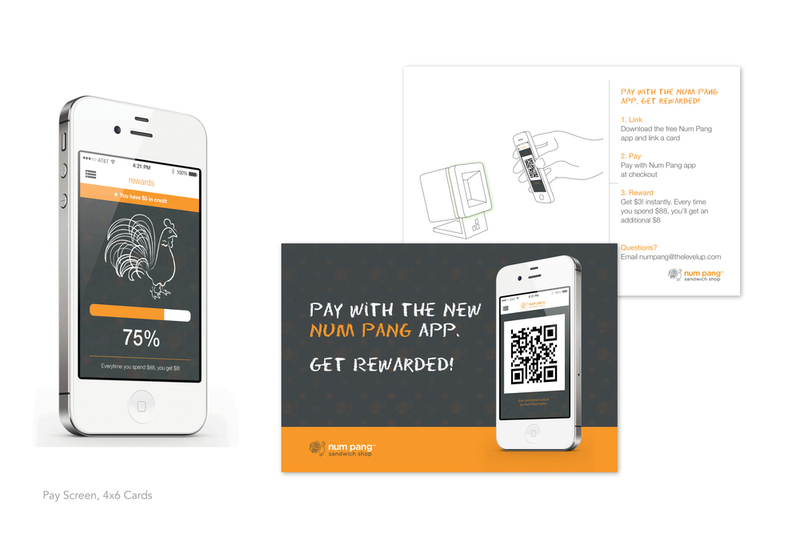 Num Pang is a modern sandwich place located in different areas around Manhattan, New York. 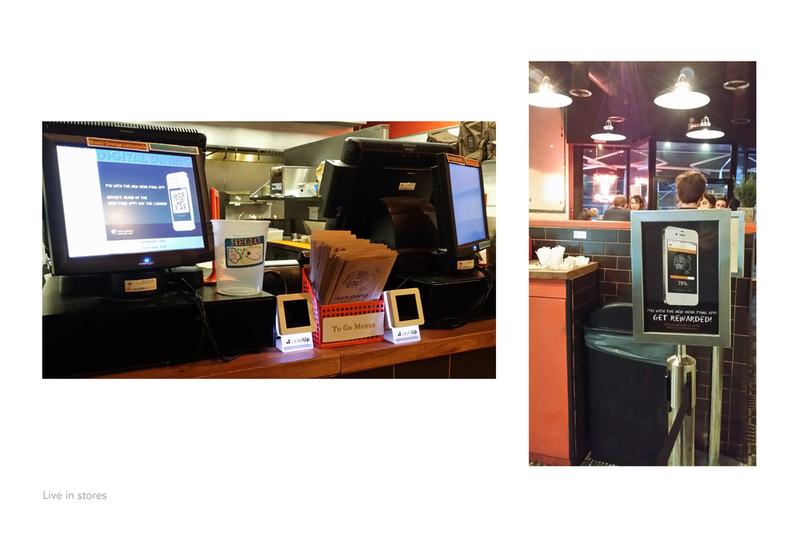 They are also located inside the Chelsea Market as a take-out only stand. Their aesthetics are a lot handcrafted such as using chalkboard-like font. Below are the marketing collateral for them which is being actively promoted both on and off-line.